Funerals will now be supervised by Ministry of Health and Child Care officials, while big gatherings must be sanctioned in order for Government to contain the further spread of cholera, a Cabinet minister has said. In his ministerial statement on Cholera in the National Assembly on Wednesday, Health and Child Care Minister Dr David Parirenyatawa implored the public to avoid shaking hands. He said to date, there were four deaths, three confirmed cases, 65 suspected cases and three probable cases after the outbreak in Chegutu. “The preparation and consumption of food at funerals and other gatherings should be supervised by health workers. We urge the population — especially in the cholera affected areas — to avoid shaking of hands during gatherings to avoid the spread of cholera. “Let us also avoid big gatherings during outbreaks such as this one. You are aware that certain church gathering are going to be happening this weekend and we are urging that you inform the Ministry of Health and Child Care so that they are properly supervised and education is given to the people who come to those funerals. “We are going to give those particular gatherings particular conditions that they must follow before they can gather. In other words, there must be sufficient water, sanitary facilities and funerals should be supervised by health workers.” Meanwhile, Harare residents have voiced concern over inadequate water supplies in most suburbs, saying this will exacerbate the outbreak. Council corporate communications manager Mr Michael Chideme said: “We are responding to the availability of water chemicals. The Reserve Bank of Zimbabwe (RBZ) recently availed money for water chemicals however the chemicals can take up to 45 days to reach here. Our Iocal supplier has also been facing challenges,” he said. 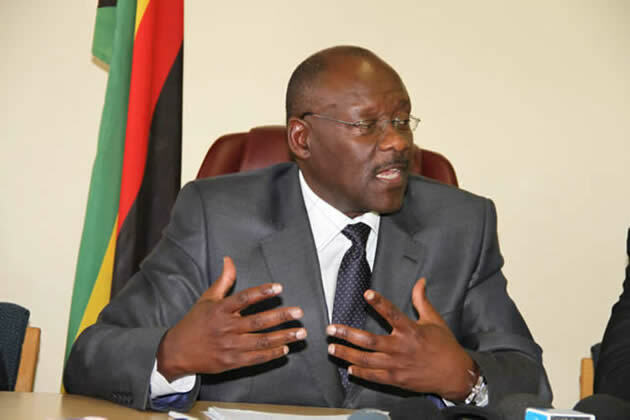 Updating legislators on the Chegutu cholera situation, Dr Parirenyatwa said the town’s municipality was facing critical water shortages due to ageing water reticulation infrastructure like most towns in Zimbabwe and this needed to be addressed as a matter of urgency. “There is rampant vending in undesignated places, including selling of meat and fruits on pavements. People buy and eat all this on the streets in unhygienic conditions, putting themselves at risk of cholera and other diarrheal and enteric diseases such as typhoid,” he said.